Traditionally, the automotive industry has reduced weight primarily by downsizing, a strategy that has succeeded in cutting the weight of a typical car from 1700 kg to 1300 kg over the past 20 years. Today, that strategy has reached its limits. Substantial improvements will be possible only through a new approach: making the automobile body out of lightweight materials instead of basic carbon steel. A car with a lighter body can use a lighter engine, less massive suspension, and a less elaborate structure. These secondary weight savings can roughly double the benefits: for every 5 kg saved by reducing the weight of the body, another 5 kg can be saved by downsizing other parts of the car. That was also the principle Colin Chapman instilled into Lotus (and that concept is still the engineering basis for today’s Lotus Exige S, for example). However, most auto engineering design centers felt that to produce lightweight cars would require expensive lightweight materials. Whilst this might be fine for low volume production (like Lotus), it was not a practical goal for the mass market. It was easier to build more powerful engines than it was to reduce weight. But that was before the world became engulfed (I couldn’t resist that pun) in escalating petro-mania. In 1993, energy analyst Amory Lovins of the Rocky Mountain Institute suggested that major automakers could use existing materials and technologies to produce an ultra-lightweight, highly fuel-efficient vehicle. The ‘supercar’ he envisioned would incorporate lightweight plastics, computerized controls, and a hybrid powerplant. It would weigh roughly 500 kg and achieve well over 150 miles per gallon. Lovins felt it would, however, need a revolution in the industry to change the engineering concepts of ‘power’, rather than ‘weight’. He also proposed the use of monocoque (one-shell) unibodies. 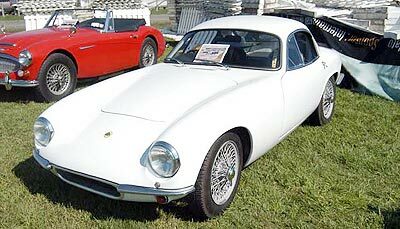 Lotus was a manufacturer to adopt this technology with the Lotus Elite, in 1958. The modified monocoque body of that car was made out of fibreglass, making it also one of the first production cars made out of composites. Lightweight materials are becoming cheaper to manufacture and use. Magnesium and aluminium alloys created car parts that were cost-competitive with conventional components. An example is that BMW uses a magnesium block and they took 10 kg off the weight of the engine alone, obviously a major gain and lowered the car’s centre of gravity by 25 mm so it improved handling. The petro-climate has made many rethink their strategies and one of these is Swiss Mindset AG company which is now building a super lightweight eco-car. The aluminium space frame structure is combined with composite body materials, reducing the weight by 30 percent compared to conventional construction methods. Mindset has announced that it is planning to produce its super lightweight eco-car fitted with hybrid drive, two gull-wing doors and narrow 22 inch wheels by 2010. Designed by Volkswagen’s former design director, Murat Gunak, the prototype features design aspects from the hatchback and coupe with a long bonnet and rectangular rear with glass roof. Mindset is engaged in the development of a so-called “alternative automobile concept” at a time of rising oil prices and widespread measures to reduce carbon dioxide emissions in Europe. A fully-functional prototype will be produced later this year with a market launch scheduled for the second half of next year, combining an electric motor and a combustion engine in a dual serial-hybrid engine. The main energy source is a lithium-ion-battery. A fully-charged battery guarantees a cruising range of over 100 kilometres, sufficient for most city driving and daily commutes. In the hybrid mode an optional, compact combustion engine is activated, which, at a constant optimal engine speed, functions as an electricity generator to charge the battery, boosting the cruising range to over 800 kilometres. Last week I asked which American auto maker manufactured bodies “in house”, but claimed they were built by an “outside” body builder? Clue: it is not Le Baron. It was the Duesenbergs who called their body shop LaGrande, but used several body shop suppliers to make the coachwork. So to this week. A radiator ornament was used on Hispano Suiza, Isotta Fraschini, Bugatti and Bentley. What was it made from, and by who? The following rule changes have been published by the FIA. Though not as dramatic as the rule changes introduced for the 2009 season, the revisions for 2010 could still have a significant impact on the teams’ relative performance. 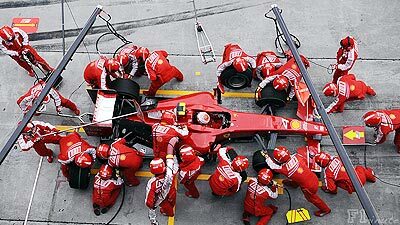 The biggest change for the 2010 season is the banning of refuelling during races for the first time since 1993. Pit stops will still be necessary, as drivers still have to use both dry-weather tyre compounds during a Grand Prix. Those stops will now be much quicker, quite possibly under four seconds. The change requires cars to have a much larger fuel tank - up from around 80 litres to something nearer 250 - and will have a major effect on race strategy, with drivers having to pay more attention to tyre and brake conservation. To accommodate the bigger tank, the cars are likely to feature wider rear bodywork and a longer wheelbase. As a result, the weight distribution will be quite different to that of a 2009 car. When slick tyres returned to Formula One racing in 2009, the tyre size remained unchanged. In terms of contact area, this meant that the fronts gained proportionally more grip than the rears. This has been addressed for 2010, with front tyre width reduced from 270 mm to 245 mm, theoretically helping to bring back a better grip balance. Also, the ban on refuelling means cars will be around 100 kg heavier at the start of a race than in 2009, so Bridgestone will use slightly harder tyre compounds to compensate. Thirteen teams (26 cars) will feature on the grid in 2010. This means a slight alteration to the knockout qualifying session, which will now see eight drivers (as opposed to five) eliminated each time in Q1 and then Q2, leaving ten to fight it out for pole in Q3. The ban on refuelling means that cars will qualify on low fuel in all three phases of the session. If a team declares that one of their current race drivers is to be substituted by a driver who has not participated in an F1 race in the two previous calendar years, one day of track testing will now be permitted, on an approved circuit not being used for a Grand Prix in the current season. This is to avoid scenarios such as that seen in 2009 when Jaime Alguersuari made his Formula One debut with Toro Rosso having only previously driven an F1 car in straight-line testing. If a driver switches car between qualifying and the race then he must start the race from the pit lane. A change of car is not allowed once the race has started. Each driver may use no more than eight engines during a championship season. Should a driver use more than eight engines, he will drop 10 places on the starting grid of the event at which an additional unit is to be used. Each driver may use no more than one gearbox for four consecutive events. Every unscheduled gearbox change will require the driver to drop five places on the grid at that meeting. Every subsequent unscheduled gearbox change will require the driver to drop five places on the grid. Is this the ultimate snobbery? 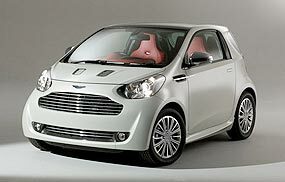 Aston Martin have produced a tricked up version of Toyota’s iQ and called it the Aston Martin Cygnet (a young swan). It has a new front and grille but retains the 1.3 litre engine with the CVT box. Now while the Toyota ‘donor’ car is certainly an ugly duckling, the Aston Martin is certainly not a swan in my book, either. So how does this new shopping trolley fit into the Aston Martin luxury image? The idea of a luxury city car is appropriate, said Ulrich Bez, chief executive of Aston Martin, “This concept is akin to an exclusive tender for a luxury yacht,” claims Mr. Bez. Since I have neither a luxury yacht or an Aston Martin in the garage, AM are obviously not really aiming for my end of the market. In fact, a prerequisite to ordering your baby swan is that you must have at least one upscale Aston Martin in your garage beforehand.